Lessia Bonn: Bio & Choral Music | Santa Barbara Music Publishing, Inc.
Lessia Bonn has been penning material for and producing gifted young singers for many years. On her roster; Viva Gore (dad's Martin Gore of Depeche Mode), Jessie Bridges (middle daughter of actor, Jeff) and Rachel Sand, a young actor sharing a manager with Hilary Duff. Lessia recently served as songwriting consultant helping to create the award-winning band Loomis (MTV/Billboard magazine). She also recently co-produced material along-side Alan Thicke for Alan's son, recording artist Robin Thicke. After their first recording adventure, Alan asked Lessia to co-produce twenty more songs. For years Lessia served as songstress, ringleader and informal guru to a giant Santa Barbara crew of tweens and teens knicknamed Vocals By Locals. (see www.vocalsbylocals.com). She also recently co-created www.bridgesandbonn.com/ - a music site geared at helping tweens and teens absorb healthier attitudes through meaningful music. The project centers around Lessia's progressive contemporary material. Now located in Northern CA, Ms. Bonn continues to specialize in writing for teens and producing them in the studio. A film treatment based on the story of her Santa Barbara songbirds is currently in the works. 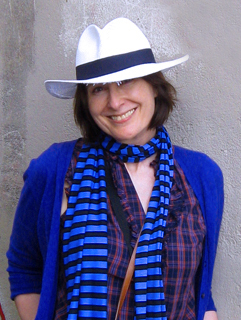 Lessia Bonn has 1 titles published with Santa Barbara.